This is my first BAM box unboxing article! The BAM box is a monthly mystery subscription box. It contains collectibles, limited edition items, exclusives and autographs. They guarantee at least 1 autographed item in every box. I saw some videos and reviews last month and I loved the box. So I decided to get a subscription. This June box is my first box to receive! This month's theme was: Back to the 80s: "To celebrate some of favorite fandoms created in this iconic era, we chose the 1980s as this month's theme. With a special guest artist doing an exclusive art print unlinke anything we have seen for this box, we are going to take it back like only we know how". Let's check out the contents of this box! The first thing I saw in the box was the pin. The BAM BOX includes a pin in the box every month. This month, it's the exclusive Truffle Shuffle pin! The 'Truffle Shuffle' is a famous dance from Chuck in the movie 'the Goonies'. I haven't watched the movie yet (I do want to see it). But I looked up the dance on youtube and it's awesome. I really like the pin, it looks great. And it makes me even more motivated to watch the Goonies soon! 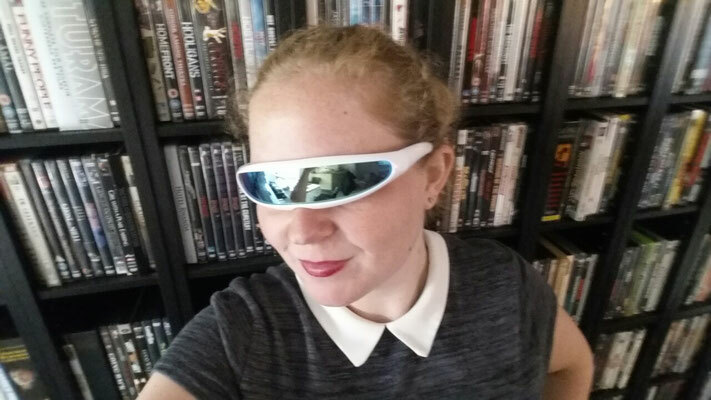 The next item I saw were: Retro sunglasses! So awesome! 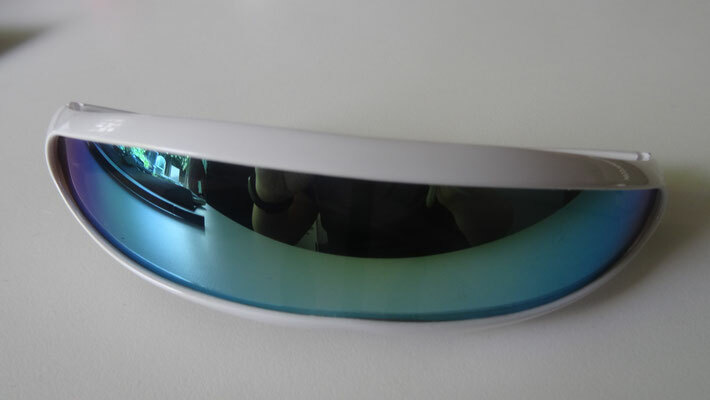 They look very 80's :) Sig and I both tried them on and it was a lot of fun. 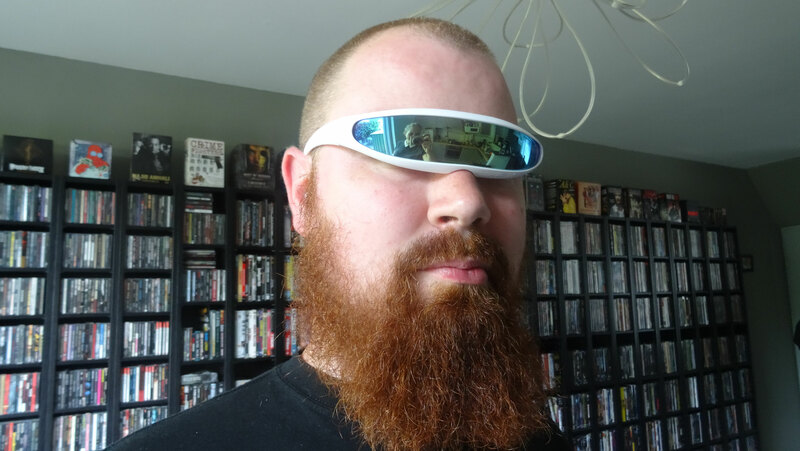 They are a bit small, so it looks a bit weird when I wear it. You can still see my eyes underneath. If it was a little bit bigger, I think we would wear it sometimes! On to the next item! Next thing I saw, was in a piece of cardboard. No idea what it was, so I unpacked it. It turned out to be an orginal pencil sketch! How awesome is that? 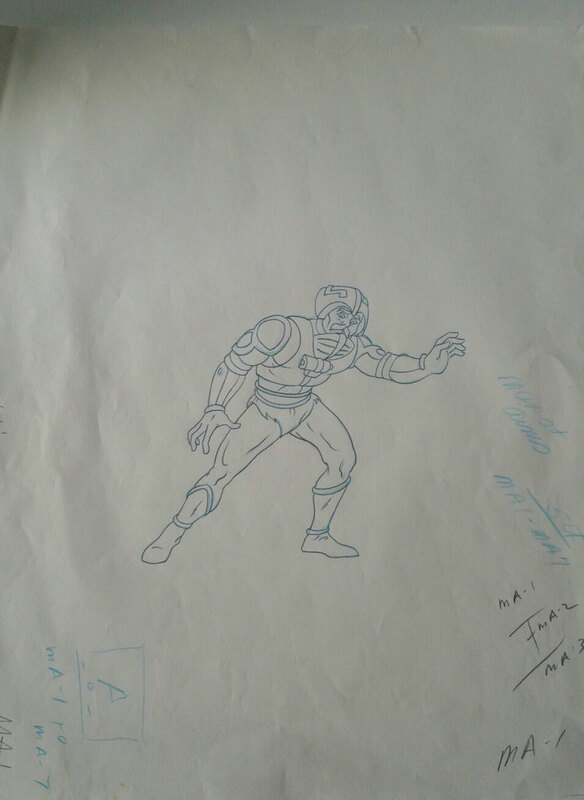 It's an original sketch from He-Man and the Masters of the Universe. I really like this. It's very unique. It comes with a certificate of authenticity. It says: "This artwork is a one of a kind authentic, original piece of art that was used in the production of this cartoon. There are no two alike in the world!". I really like that. It makes the box really special to get something this unique. He-Man and the Masters of the Universe is an American animated television series from 1983 - 1985. It was one of the most popular animated children shows in the 1980s. Here's the item I liked the most in the box! I'm a big fan of "Back to Future" so I was thrilled to see this item. This will get a special place in my house! I've already met Christopher Lloyd (Doc Brown) from Back to the Future. I had a photo op with him at FACTS. So I have that photo in my collection. I'm glad to add a new "Back to the Future " item now. 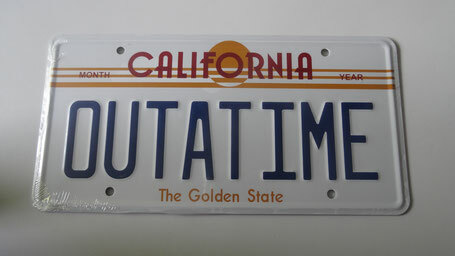 This incredible "OUTATIME" full-size prop replica license plate. Not every box contained this item. You would either get this one, or receive the bar code full-size prop replica license plate from "Back to the Future". Both are great, though I'm really happy I received this one. And there's more! This box contained 2 autographed items! They also have a certificate of authenticity. I'm really happy with the first one: A BAM Box exclusive Rocky Davies signed print. 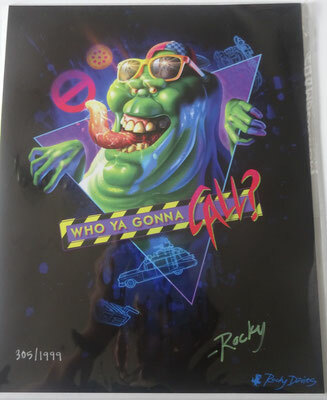 It's a print of Ghostbusters and it says "Who ya gonna call?". It looks very nice. And I love Ghostbusters as well. I've met Ernie Hudson (Winston Zeddemore) in 2015 at FACTS. So I'm really glad with another Ghostbusters item. It has an autograph of Rocky Davies. I really like the print. I googled to find some more work of Rocky Davies and I think it's quite impressing! 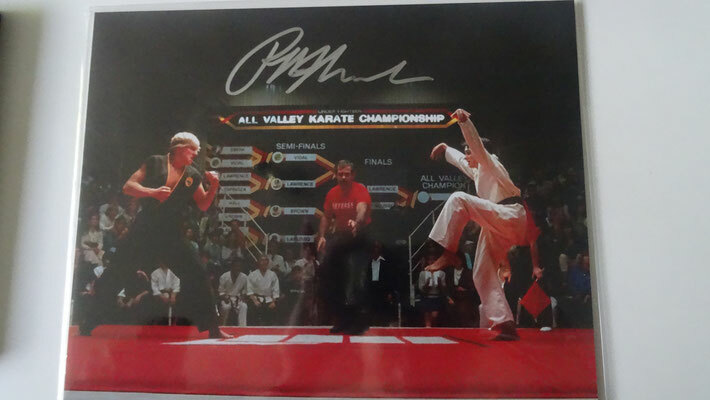 The second autographed item is a Ralph Macchio Karate Kid signed photo. I haven't watched the movie and I'm not too familiar with it. So really had to take a second look. I think many people will be really happy with this. Ralph Macchio played the role of Daniel in the Karate Kid movies. 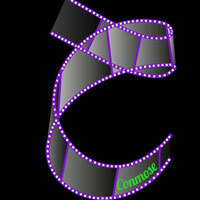 Tell me: Should I go and watch the movies? I'm not sure if it's really something for me.. Convince me ;). That was my first BAM box! What do you think of it? What would be your favourite item? My favourite is the "Back to the Future" License plate! I'm happy I took a subsription and I'm looking forward to the next box. Next month's theme is: Galactic!! 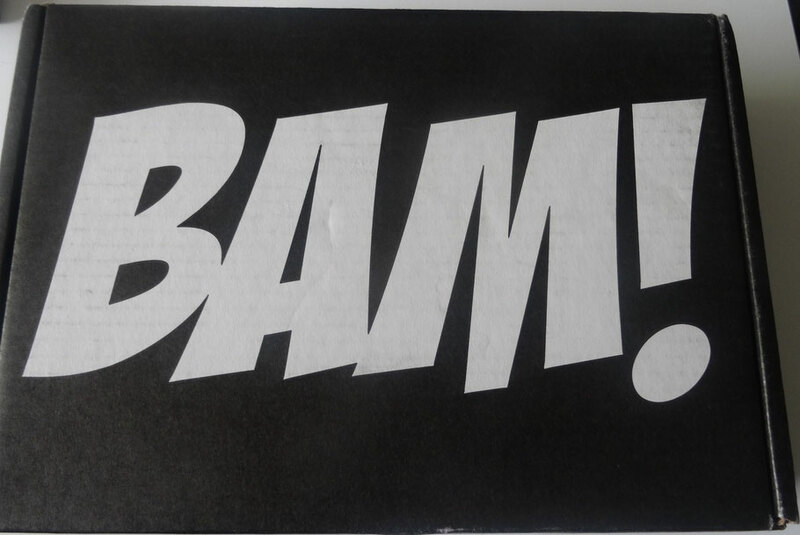 Do you also want the BAM Box? Subscribe here! The first thought that came to mind was, "What the heck is a bam box?" So that's what it is! LOL! I am happy for you. Of the things you received, I think I like the plate the most! If you ever find it in your heart to send it over to me, remind me to never put it on my car. Hahaha. Wow, I am just addicted to mystery boxes. And this bam box seems quiet different. I loved the fact that they send something autographed. This is so cool. Oooh!!!! I love using subscription services. I really might check this one out, sounds so cool! The BTF license plate is very cool, I'm green with envy! At first, I was really wondering what could a bam box be. Then boom. It's really a bam! I do love mysteries but never have received a mystery box yet. But the autographed goodies are really awesome! Ooh, I would enjoy this. I love the 80s! Although I have never seen The Goonies either. I personally like The Karate Kid because it is a good underdog story. If you like Rocky or other underdog sports movies you'll like it too. Amazing! I'd love to get one of these. Do they ship worldwide? I've been wanting to have LootCrate subscription as well. This is so interesting! It's a good way to engage geeks. Plus, the monthly surprise thing is a delight. I hope to try it someday, but for other items! I am not a fan of it neither have an idea what's the theme about but as how you described it, it's something worth it to own indeed particularly the sketched one. To be able to receive something like that, I, sure, would definitely love it too! It's rare to own an original sketched version done decades ago! 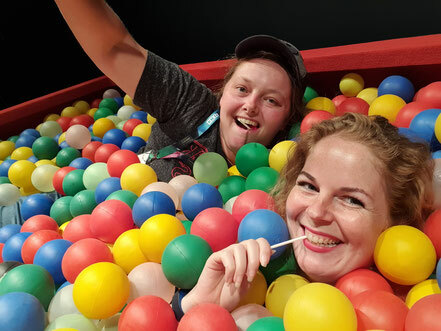 Yeah I was wondering what a Bam Box is like--and it looked like a lot of fun and mystery! It's like a Kinder Egg Surprise for adults? You'll never know what to get!